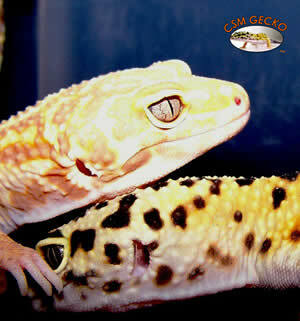 CSM Gecko is a Leopard Gecko Breeder and Supplies Online Store. I, Cory, operate CSM Gecko in every aspect. My wife helps me out with some of the daily tasks of breeding though. I started CSM Gecko to have a fun project for my daughter and me to do. Then I had to decide what I was going to do with all the babies produced and so CSM Gecko was born. I have always wanted to open and run my own business, and I have been into reptiles since I was a young kid as well . I have had various lizards, snakes, and turtles as a kid, so it kind of just made sense to start my own business breeding and selling leopard geckos. I really wasn’t planning on breeding until I bought some geckos from a pet store and they turned out to be sick and I had to take them back. They had crypto. And with all the research I did on leopard geckos in order to try and find out what was wrong with them, I learned a lot and decided breeding would be a fun project. Then I also added on the supplies stuff as an afterthought. 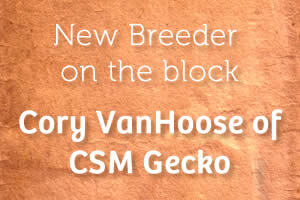 Who, if anyone, would you say is your mentor for getting started breeding reptiles? Since I am just getting started in my breeding projects I wouldn’t say that I have a set mentor. 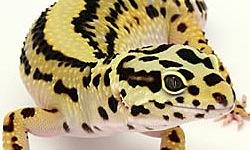 I use and have read a lot of the books on leopard geckos that are available. 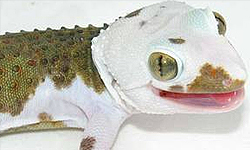 I am also involved in GeckoForums.net and IHerp, where I ask questions if I am running into any issues. But along with any good advice on public forums there can be questionable advice, more someone’s opinion that is stated as fact. So when I am in doubt of an answer I have turned to Steve at Geckos Etc, from whom I have purchased one of the breeders with another on the way. I have been thinking about projects for the future once I get everything settled from opening and get this first year out of the way, and I think I leaning towards experimenting with the various morphs in Bell Albinos. Also I have been working on my own line of hides and décor that I am trying to find the best way to manufacture right now but it is looking like I am going to be custom making a lot of it. That is all in the works right now and as soon as I can I will be releasing those products. Do you think you have a particular niche in this market? If so what do you think that is? I think the niche in the market that I am going to fill the best is going to be customization. I mean I am already taking special orders for products not posted for sale on my website. Dealing with my reptile supplies, if I can get it then you can have it is basically my standing. The products I am going to release in the future will be able to be customized as well. Dealing with my leopard geckos will involve using the Bell strain for projects, where not too many people seem to be using that strain. Everyone seems to focus more on the Tremper strain. I would consider myself at the moment an extremely small hobby breeder because I only have 4 breeders and 1 on the way. I am going to be expanding quite a bit within the next year, but I wanted to get everything on track before adding too many animals. 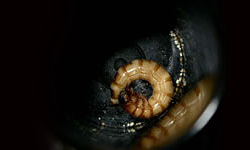 I would like to be able to grow to a medium sized breeder within the next 2 years. Do you attend any reptile shows? If so, which ones? I am not planning on attending any shows this year, just not prepared yet. I will be scoping out shows starting next year to get a feel for which shows I want to attend. I am planning on attending shows in California, mainly Southern, Las Vegas, and I would like to get to the Raleigh, NC show starting in 2011. This interview is the first installment of a new series of interviews being conducted by Cory from CSM Gecko. This new series of interviews is going to be done on New and Upcoming Breeders, as well as some Small Low Level Breeders that may not exactly be new. If you are interested in doing an interview then please contact Cory at csmgecko@gmail.com. Cory will be randomly picking breeders to interview. Thank you and I look forward to discussing this interesting hobby with you. Note that this interview was done in 2009. I’m not entirely sure about this breeder’s current status. 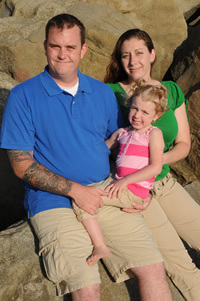 You can check him out on Facebook by doing a search for CSM geckos. 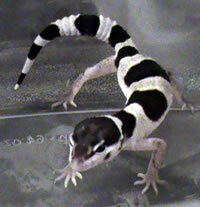 Otherwise, look for a reptile expo near you or go to kingsnake.com to find a list of breeders.